With the opening of its new convention centre just over a year ago, Saint-Hyacinthe has regained its title as the largest business tourism destination in Quebec’s regions. Using this position, Saint-Hyacinthe Technopole just launched its annual promotion campaign for its services and associated hosting infrastructure with convention and event organisers using new tools to promote the region’s business tourism assets. To do so, a new promotional brochure was prepared describing Saint-Hyacinthe’s main assets as a destination for business events—easy access, installation functionality, support services for organisers, activities and attractions for leisure programming, etc. These assets are also presented in a new promotional video supporting Saint-Hyacinthe and region’s notoriety. 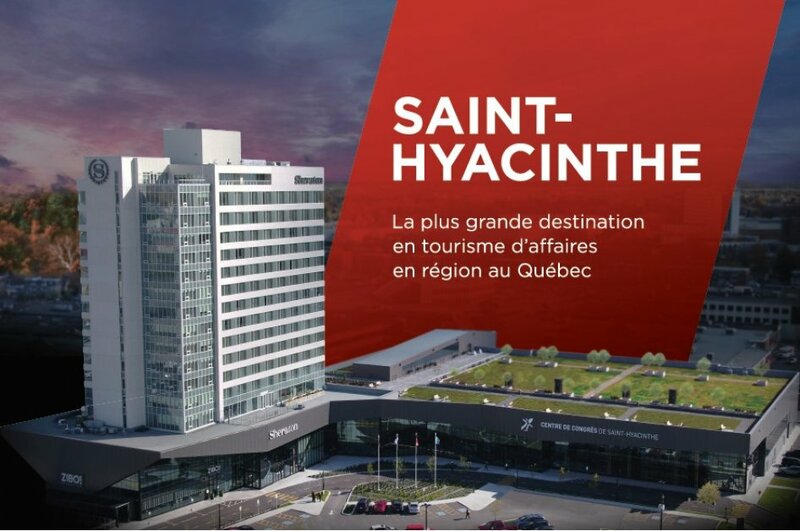 In partnership with the Convention Centre’s sales team, Saint-Hyacinthe Technopole will attend many industry events as part of its offensive to reposition the city as one of the leading business tourism destinations in Quebec. Specifically, it will be present at this week’s “Tête-à-Tête” trade show in Ottawa, presenting its offer to some 400 association managers and event planners from across Canada. It will also attend the Salon Momentum in March and August of this year. This event brings together the Quebec market’s associative and corporate decision makers. “Thanks to our new ultramodern infrastructure, unique in Quebec, we want to raise the number of major business events to over 80 a year. This would allow the community to benefit from more than $4 million in direct revenue by 2020. This goal was reached in the first year of the Convention Centre’s operations, indicating the installation’s popularity within the province,” noted Isabelle Compagnat, business tourism delegate with Saint-Hyacinthe Technopole. 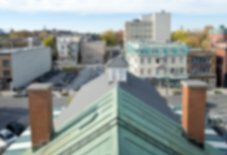 Saint-Hyacinthe’s offer of available space for holding business conventions and events is the largest in Quebec outside major urban centres. With the combined offer of the Saint-Hyacinthe Convention Centre and Espace Saint-Hyacinthe, the city has a total of 230,000 square feet of space for conventions, exhibitions and events.